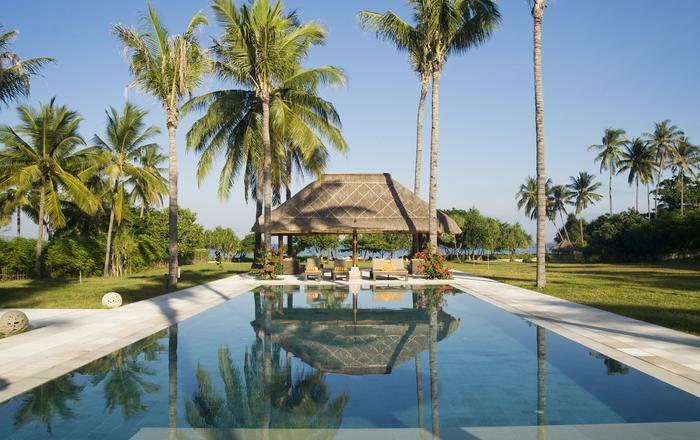 Five-bedroomed Villa Sapi is a masterpiece of design on the peaceful island of Lombok. Bordered by the almost deserted Sira Beach against a backdrop of soothing seas, soaring peaks and sensational sunsets, it presents funky architecture, three swimming pools plus a children's pool, a stand-alone two-bedroomed guesthouse, a tennis court, exemplary service and gourmet cuisine. This is tropical living and barefoot luxury at its very best; a place where guests can truly escape. 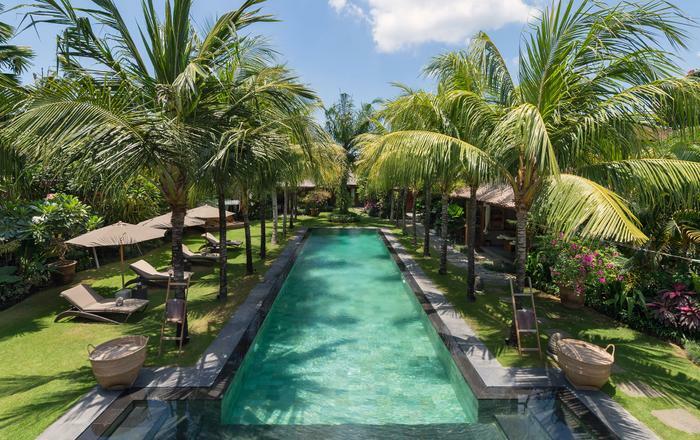 Villa Sapi is secluded and lusciously private but by no means isolated; prestigious neighbours include the Lombok Golf Kosaido Country Club, Hotel Tugu and The Oberoi, and the coral-fringed Gilli Islands, with their superb dive sites, are just a short boat ride away. 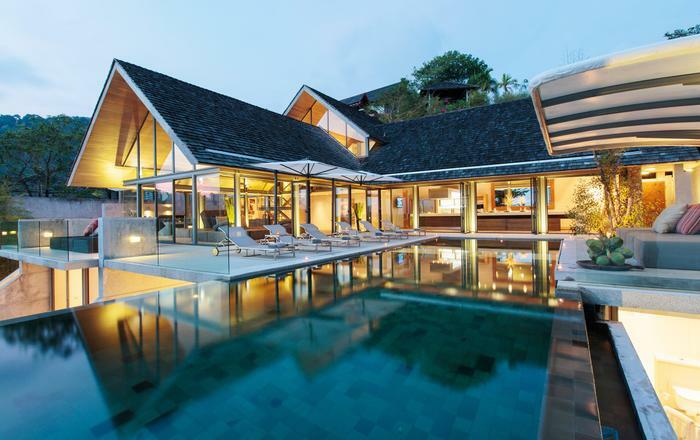 Canadian architect David Lombardi's concept of 'Function over Form' leaves Villa Sapi's guests with a sense of discovery and surprise at every turn, from the traditionally styled, grass-roofed building that houses the main kitchen to a futuristic home theatre. Furnishings carry a signature colour theme of black, red and lime green, while the walls are adorned with flair - bamboo, water cascades and conceptual artwork. The first clue to the quirky nature of the artwork is a white sculpture in the coconut grove garden which, in huge black letters, suggests that we should 'Stop Making Sense'. The view from the villa's open-sided living and dining room, bedrooms and bathrooms is unrivalled; here guests can look forward to a vista that is ever-changing with the moods of the sea, sky, neighbouring islands, distant mountains, forests and colourful fishing boats. At night, after a magnificent sunset, the scene becomes even more magical as the moon's reflection twinkles on the water, presenting a picture of tranquillity and unforgettable beauty. 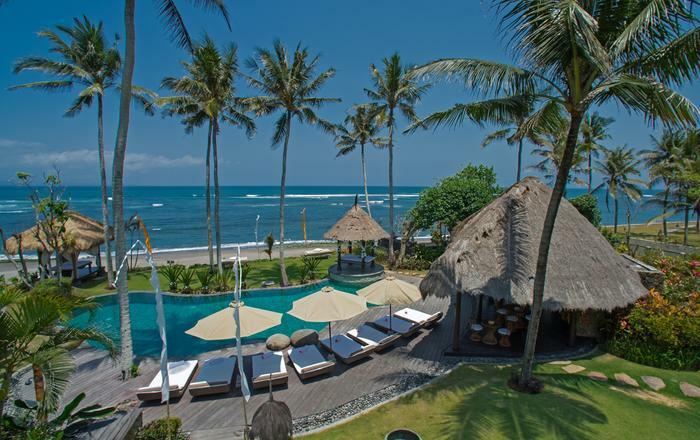 A full team of staff is on hand at Villa Sapi to look after every guest's need with superb cuisine and service. The villa's manager, chef and head butler were all previously employed by The Oberoi Hotel Group and have been trained to the highest level. 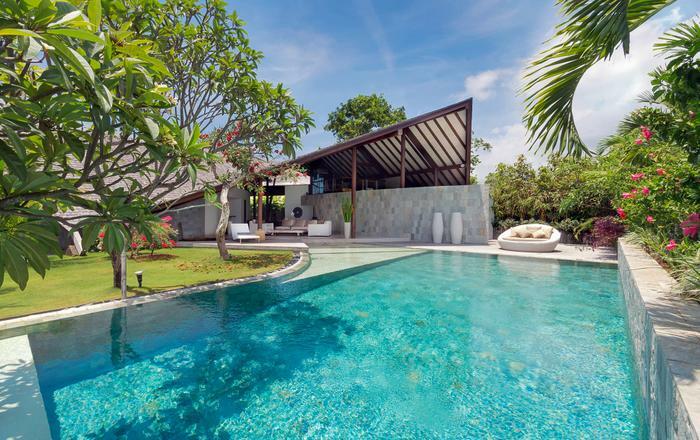 A wide range of activities is available to villa guests, including golf, snorkelling, diving, waterfall hikes and mountain trekking, cycling, day trips to the nearby Gili Islands, cooking classes and more. There is a sweet story behind the villa's name. The huge coconut grove on which the property stands used to be grazing land for cows, the most treasured possessions of Lombok farmers, symbolising status, wealth and happiness. The owners decided that these graceful beasts should be rightfully honoured: Sapi means cow in the Indonesian language. 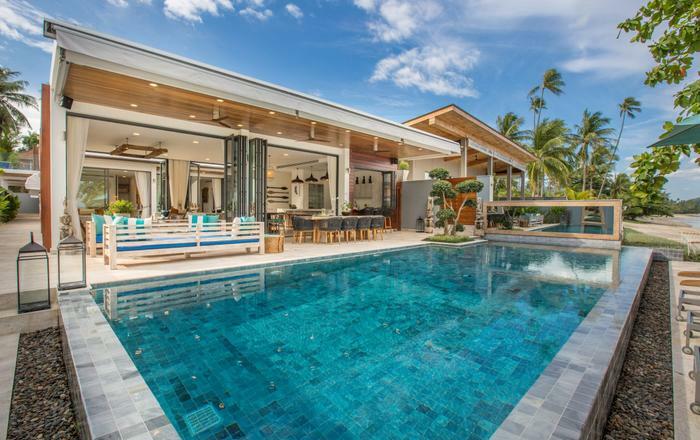 Villa Sapi rests within an expansive coconut-grove garden and comprises a main single-storey residence with a 25m swimming pool and a children's pool, plus a stand-alone guest pavilion with two more swimming pools, set well away from the main house. 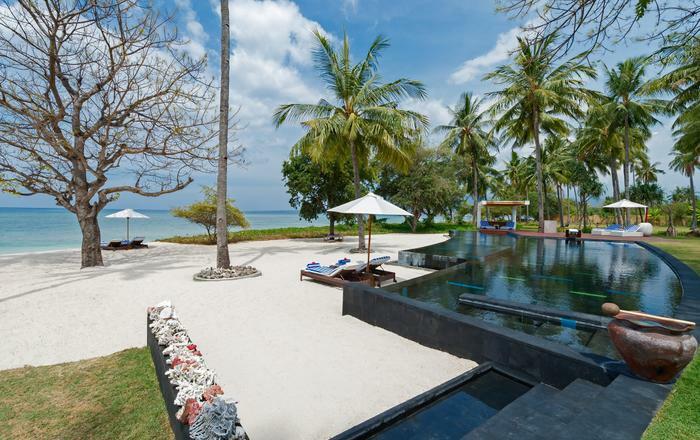 Also within the villa's grounds are a floodlit tennis court and a lumbung (traditional rice barn) massage pavilion. 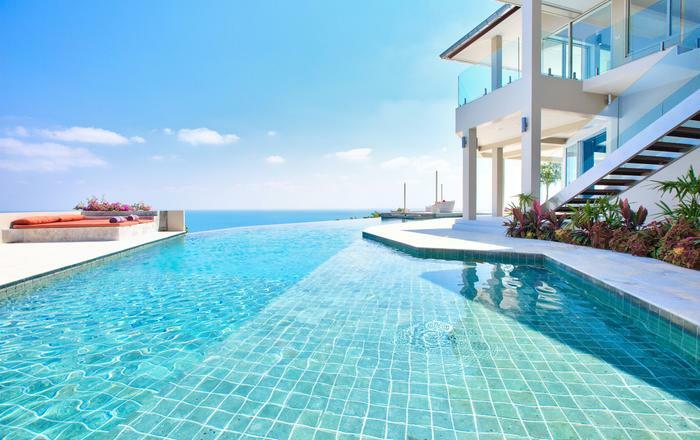 The main swimming pool extends for 25 metres between the beach and the main house. It is deep enough to dive into and has a springboard for that purpose. Sunloungers rest upon the grassy deck and a modern flat-roofed bale (relaxation pavilion) sits at one end. Running alongside the main pool is a shallow (80cm-deep) children's pool. 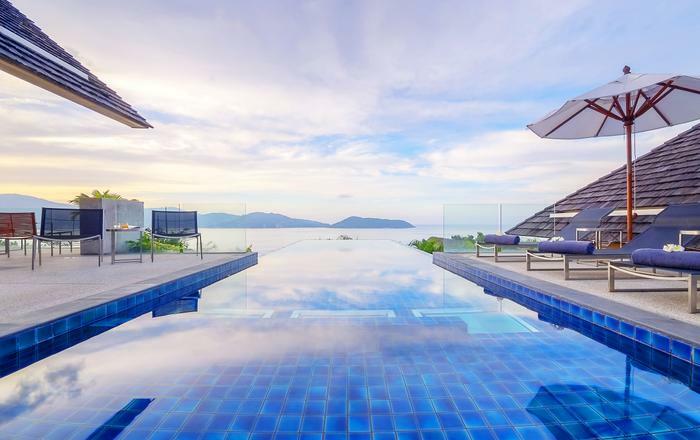 Two more swimming pools serve the guesthouse on two different levels, both of them are bordered by small timber decks.